Reese Witherspoon stars in Wild. 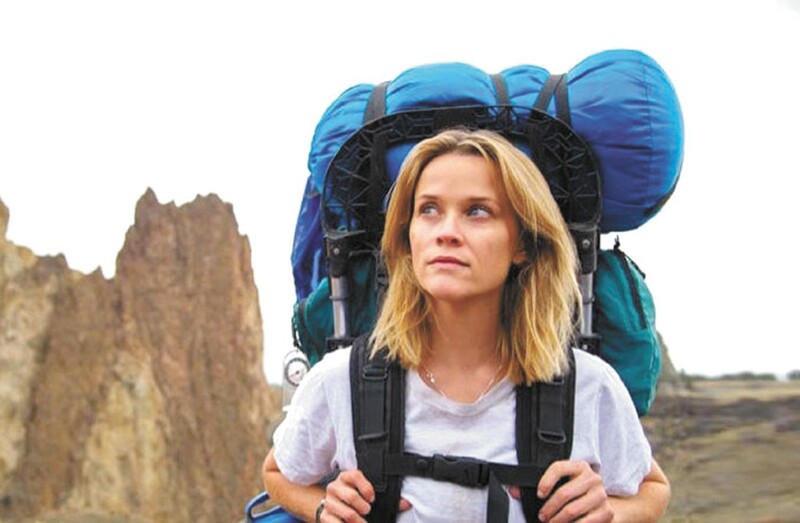 Reese Witherspoon plays Cheryl Strayed, a recovering heroin addict who sets out to hike the length of the Pacific Crest Trail alone. Directed by Jean-Marc Vallée, the film is based on Strayed's hit memoir and might provide an Oscar performance from Witherspoon. Some Tolkien purists who never thought a relatively short novel like The Hobbit should have been split into three movies may welcome the end of the trilogy. Expect the same big-budget pageantry we've come to tolerate from Peter Jackson's excursions into Middle Earth. On the family-friendly end of the spectrum, there's this reboot of Annie that sees the excellent Quvenzhané Wallis (an Oscar nominee for Beasts of the Southern Wild) in the title role. Jamie Foxx plays Will Stacks, the character formerly known as Daddy Warbucks. Opening on Christmas Eve, this Disney adaptation of Stephen Sondheim's hit Broadway musical that mashes up the Grimm fairy tales is going to be a massive smash, thanks to a cast that includes Meryl Streep, Emily Blunt, Anna Kendrick, Johnny Depp and Chris Pine. If you want something with a few more laughs, this comedy stars Seth Rogen (directing here with buddy Evan Goldberg) and James Franco as tabloid journalists who land an interview with North Korean dictator Kim Jong-un; then they're tasked with killing him. It also opens on Christmas Eve.